Irena Sendler, a Polish underground activist during WWII, certainly saved several thousand universes but until recently few people were aware of her brave and selfless actions. Sendler was honored by Yad Vashem in 1965 for her efforts on behalf of the Polish Jews who were caught in the Nazi dragnet. After the ceremony in Jerusalem, however, Sendler returned to her home in Poland where her story was almost forgotten. While the movie Schindler's List garnered attention and awards, the activities of Irena Sendler were ignored until an amateur group of historians, high school students, uncovered the events of her life and publicized the story, ensuring that Sendler's heroism would be accorded a place of honor in the narrative of Holocaust studies. 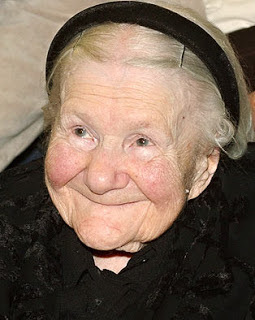 Irena Sendler was a young Polish social worker when the Nazis invaded Poland in 1939. As the Nazis began to persecute the Jews Sendler joined a group of anti-Nazi activists in attempting to thwart the Germans' murderous activities. Together with her comrades she joined an underground, the "Zagota," which forged documents that enabled Jews to go into hiding. Historians estimate that during this period Sendler assisted over 500 Jews escape the Nazi round-ups. By 1941 the Germans had established the Warsaw Ghetto and herded close to a half a million Polish Jews into the small area. Sendler procured documents that identified her as a nurse who specialized in infectious diseases, thereby gaining her admittance into the ghetto. She traveled into and out of the ghetto several times daily, bringing food and medicines into the ghetto and, whenever she could, smuggling children out. Sendler quickly realized that the Germans intended to murder all of the ghetto residents. At first she identified orphans and brought them out, frequently hiding them under her tram seat as she crisscrossed the boundaries of the ghetto walls. She also began to knock on doors of families in an attempt to convince the parents to allow her to remove their children from the ghetto. Fifty years later Sendler still relived those traumatic episodes when she "talked the parents out of their children...Those scenes over whether to give a child away were heart-rending" she said. "Sometimes, they wouldn't give me the child. Their first question was, 'What guarantee is there that the child will live?' I said, 'None. I don't even know if I will get out of the ghetto alive today." Sendler and her Zagota compatriots smuggled the children out by sedating them and hiding them in toolboxes, luggage and other bags. Sometimes they piled garbage on the children and brought them out in carts while at other times the children were hidden under snarling dogs. The Zagota members also used the Warsaw sewage system to lead the children out, directing them through rat-infested pipes to the "safe" side of Warsaw. Once the children had been moved they were still in danger. The Nazis had a policy of murdering any person -- even entire families -- who sheltered Jews. Sendler had to identify safe hiding places for the children, provide them with forged documents and ensure their secure delivery to the families, convents and orphanages that were waiting to provide them with shelter. Sendler recorded all of the names of the children, along with their hiding places, on pieces of tissue paper which she then buried in glass jars in her yard. She hoped that these children could, in the end, be reunited with their families or, at the very least, with their Jewish communities. In 1943 Sendler was captured by the Nazis and tortured but she didn't divulge any information about "her" children. Her Zagota friends were able to bribe the guards and secure her release and she spent the rest of the war in hiding. In 1999 a group of Kansas City schoolgirls read a short outline her Yad VaShem award and began to research her activities. They discovered that she was still alive in Poland and managed to travel to meet and interview her. Their research was publicized by the LMC as the "Life in a Jar" project which has promoted Sendler's story and ensured its memory through a book, website and performance. We are NOT wandering Jews!